Back in January, I moved into a new office to work on my current project. 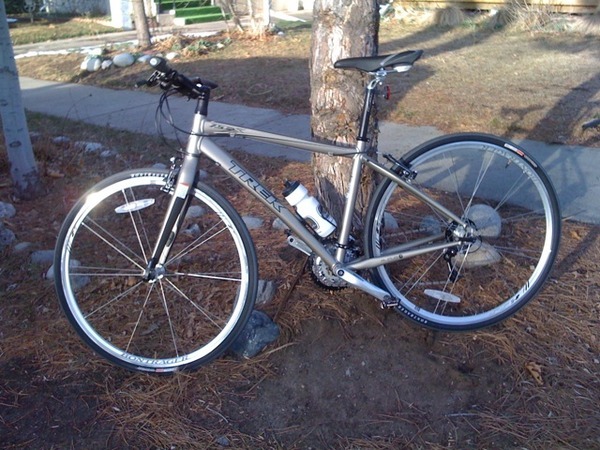 The following week, my bike was stolen. The next day I ran to work and decided to do it for a couple months. My current goal is to run until April 1st or until I lose 20 pounds, whichever comes first. The next week, my co-worker's bike was stolen and I knew I had to stick with my goal. The significance of April 1st was that our office lease expires on April 1st and we were planning on moving to a new office. 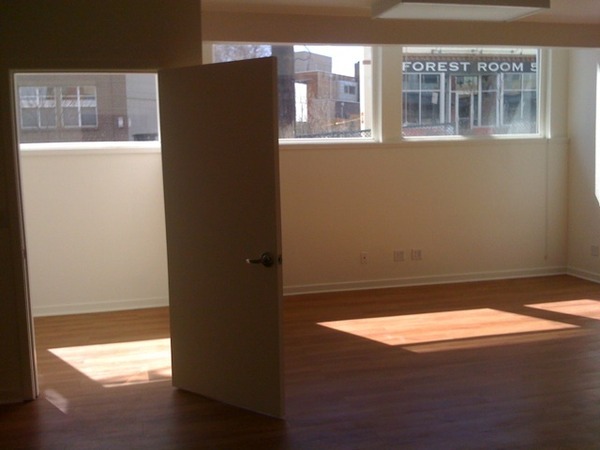 While our office is nice, it is a large one-room office with no windows. The previous office was quite a bit cooler, but also cost twice as much. A couple of weeks ago, we found a nice office near downtown. I signed a 1-year lease and moved in over the weekend. For folks in Denver, you might recognize the nice location. 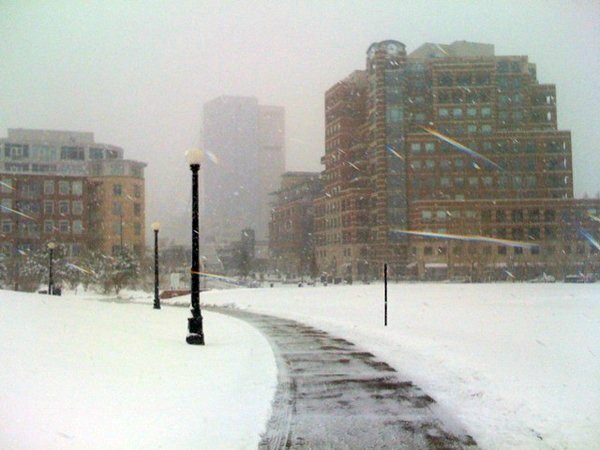 I did my final run to work last Thursday, in the midst the Blizzard of 2009. While running to work was a great experiment and I enjoyed telling people I was doing it, it wasn't fun. I've been riding my bike to work for many years (first year was 1999). The one thing I've always enjoyed was the thrill of the ride in the morning. On a beautiful spring day, it's really a fantastic experience. It's easily been the best part of any job I've ever had. With the new office secured and the running mission completed, I walked over to my favorite bike shop and picked up a Trek FX 7.5 yesterday. To research and figure out which bike to buy, I asked my network on LinkedIn. 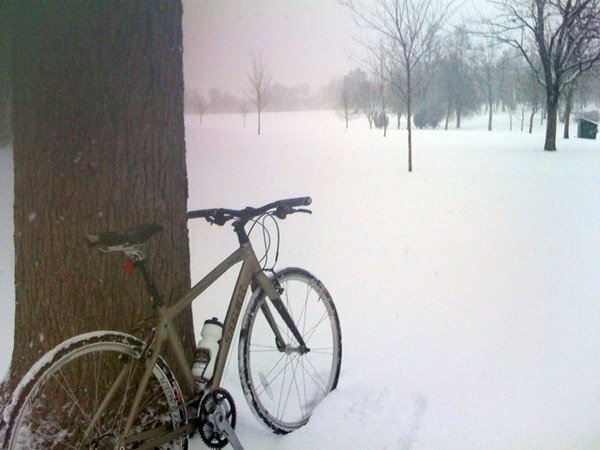 As luck would have it, my first ride to the new office was today and we woke up to a morning snow storm. Even though the ride was cold and wet, I still had a blast. I've enjoyed riding since I traversed the hills on a BMX bike back in Montana. Getting back in the saddle today was simply awesome and I can't wait to ride again tomorrow, regardless of the weather. I know those nice spring days are just around the corner.